If you are doing our ‘30 Days To a Better Body‘ fitness program, at some point you are probably going to consider using training supplements to aid you in your exercise and nutrition. I definitely use some types of supplements, but I do use them sparingly. This is probably one of the biggest false advertisements made by the companies who make supplements. They market their newest tub of protein powder as the latest and greatest scientifically designed protein supplements available. 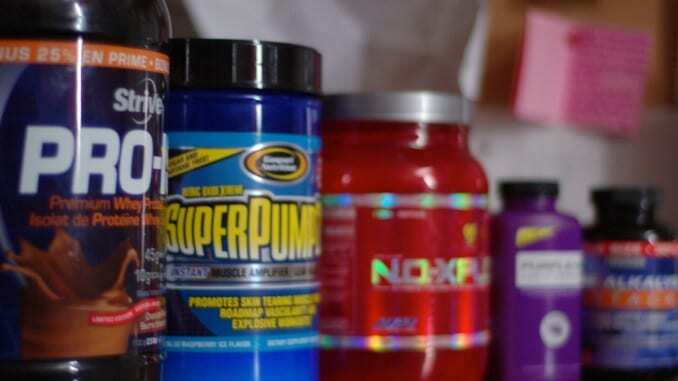 What novices and even experienced bodybuilding lifters who purchase protein powders need to be aware of is that not all protein supplement powders are the same. You need to get acquainted with the back of the protein powder container where the ingredients are and see what you are actually buying. The most effective supplements use whey isolate protein. Many of the proteins on the market though are made with whey concentrate protein. The problem with whey concentrate protein is that it isn’t as easily absorbed by the body. In fact, only 60% to 85% gets absorbed by the body. That’s a waste of protein AND your money. Whey isolate protein on the other hand, is a much purer form of protein and it is more effectively absorbed by the body. Whey isolate protein’s absorption rate by the body is typically over 90% and even as high as 98%. Since whey isolate protein is much more efficiently used by the body, it will be more expensive. Remember, you get what you pay for. So, make sure and check out the ingredients list on the next tub of protein powder you purchase. I typically have a protein supplement shake as a pre-workout meal with a bowl of oatmeal before a weight training session. I find that this give me the energy I need to complete my workouts. Supplement manufacturers would like you to believe that a protein bar is a good option for a meal. In reality, they are more like a “candy” bar. There are many bodybuilders, both hobby and serious, that eat protein bars with thoughts that they are doing their body good. First, most protein bars use whey concentrate protein, which as we’ve covered, isn’t absorbed by the body very efficiently. So some of the protein is lost in the digestion process. Second, most of the protein bars on the market are loaded with worthless calories from sugar and fat. The fats aren’t the good ones either, they are the saturated and trans versions. The only time a protein bar might be a good idea is when you’ve gone 3 or 4 hours without nutrition and you are on the go and have nothing else around. The issue with multi-vitamins isn’t the grade of vitamins and minerals that you get but which ones are a part of the formula. As an example, let’s look at one of the most popular mass-marketed multi-vitamin supplements on the market, Centrum. Centrum only provides an average amount of vitamins and minerals. This is fine for the average Joe as they probably don’t need more than that. Advertisers of Centrum or most generic multi-vitamin supplements would like you to believe that what they offer is perfect for everyone. Athletes and bodybuilders though need extra vitamins and minerals as well as amino acids to support their muscle and energy needs. So vitamins that are more specialized, like Animal Pak or GNC’s men/sport multi-vitamins, are geared towards athletes and bodybuilders because they are a better option in terms of what vitamins, minerals and training supplements they offer compared to what a generic brand of vitamins offers. What readers should take away from reading this is that multi-vitamin supplements are different from brand to brand and many are designed for a specific person whether it is an athlete, an average joe looking to improve their health and lifestyle, or even someone who is over 50. 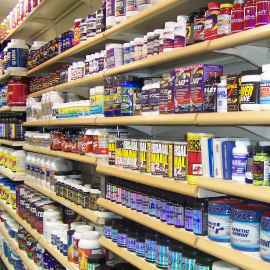 Be smart and shop around for specific supplements that will meet your specific needs.